If you've seen my update on Instagram, you'll know that I've been back from my vacation for two weeks now and have been struuuuggggllliiinnng to get back on track with the blog and my feed. Seriously, how do people get over vacation hangover??? I thought I'd ease into my website by doing a rundown of some fun tarot-related moments throughout my trip! I'm taking another trip to the US in a couple of months, so good news to everyone from that side of the globe—I'll be able to reduce shipping again later this year. I'll keep everyone *posted* (pun intended). 2. Checking out the Fantasy exhibit at the Museum of Pop Culture in Seattle, and running into some familiar faces. 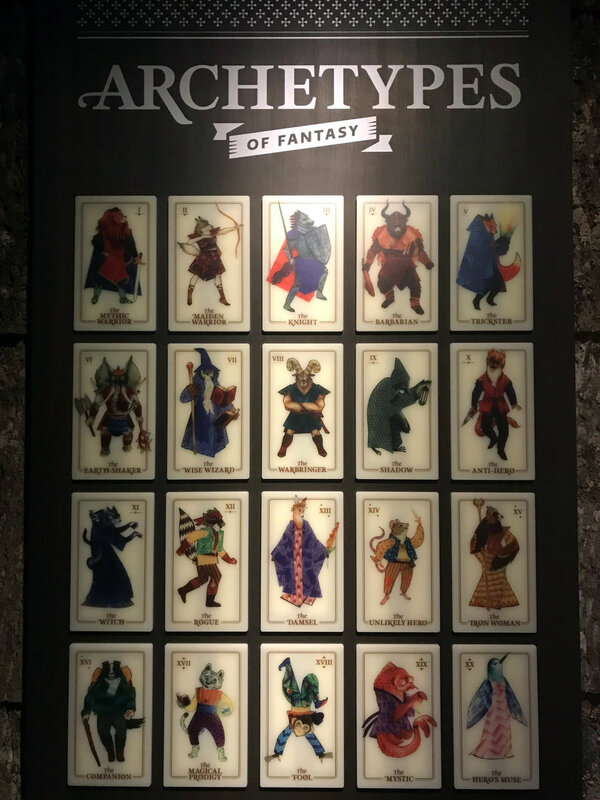 These don't exactly coincide with the Major Arcana, but it was still cool to see the depictions all throughout the display. (If you're from the Seattle area, this one's worth a visit!). 4. Actually doing readings for folks outside of Manila! The first time I ever read for someone in another country was when I was in Singapore for work, and had enough time to do a quick hawker meet-up with my friend, Patty. 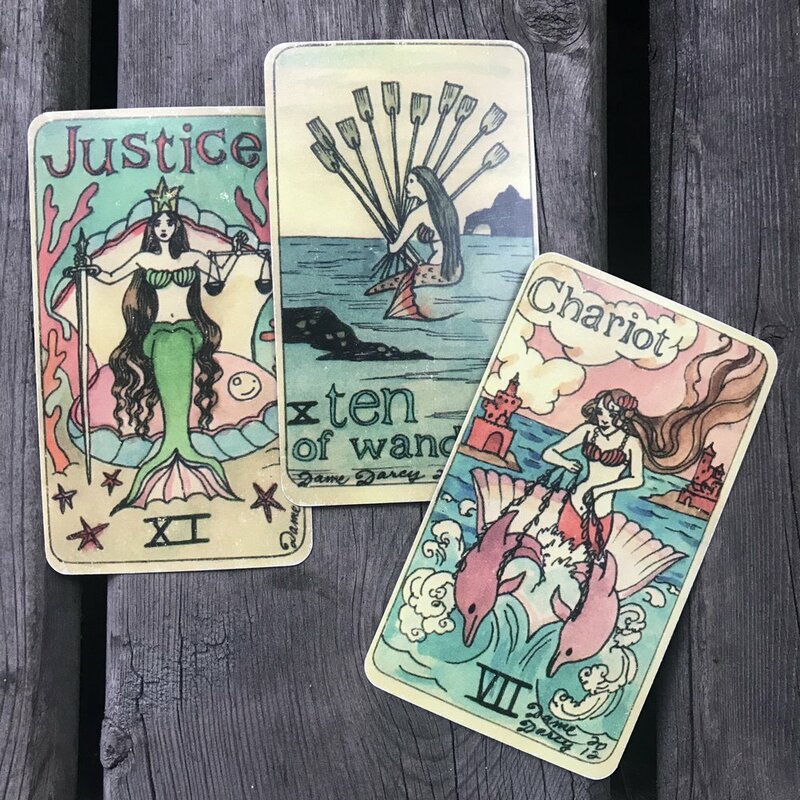 This time around, I was able to give some folks a heads up that I would be open for in-person readings… and I was able to do two days of tarot in Calgary! It was so much fun to meet people I would have never ever met online or in Manila. The experience was a reminder of how connected we all are—universally. Super grateful to everyone who trusted a stranger enough to hold space for them. 5. Visiting lovely shops like The Good Spirit in Vancouver and Sugarpill in Seattle. It's been a dream of mine to set up an actual physical Practical Magic shop here in Manila and these two spots have provided such wonderful inspiration. Also, everyone in the stores were so wonderful to talk to! Thanks to everyone for keeping my site busy and alive even during my hiatus. I'm really trying to psych myself to get on with the regular blogging. (My bullet journal absolutely helped push me out of my hangover… even just a little). I can't wait to share with you more in-depth shop experiences and tours, as well as thoughts on my two newest acquisitions which I've been using everyday, the Dark Days Tarot and The Universe Has Your Back.